and mix and match your flavours and nuts of choice! I always use a dark chocolate with a high cocoa content..nothing less than 75% for me. •Beat the cream cheese with your flavouring of choice and scoop into small balls. Place them on either waxed or parchment paper. Put the balls into the freezer for 10 minutes to firm. •In the meantime, melt the chocolate in a bowl over hot water. 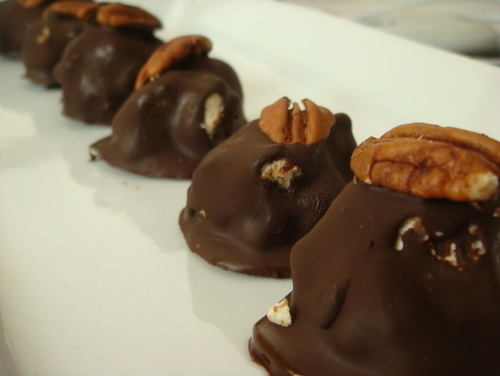 •Remove the cream cheese balls and dip them in the melted chocolate. Decorate with nuts if desired. Place the chocolate covered balls on wax paper. 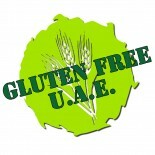 This entry was posted on 06/02/2012 by glutenfreeuae in Recipes, Sweets and tagged chocolate, cream cheese, YUM.